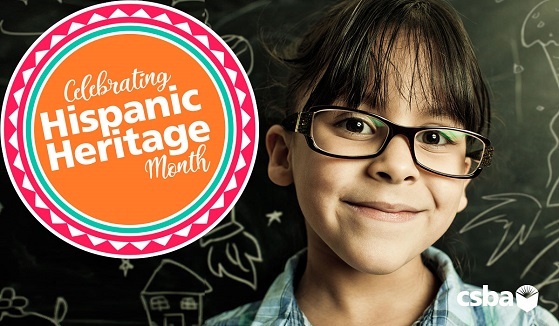 As Hispanic Heritage Month (Sept. 15–Oct. 15) draws to a close, CSBA is pleased to highlight programs across the state that are engaging Latino students and their families, offering important community resources and ultimately helping close achievement gaps. Big things are happening in Val Verde Unified School District’s bilingual outreach and education program: More than 9,000 people attended Family Engagement Center events during the 2017–18 school year. It’s all been done by officials and educators leading with their ears rather than their mouths, said Carla de la Torre, district director of English Learner Support Services TK-12 and Family Engagement. Val Verde USD has had strong parent connections for some time, de la Torre said, but the introduction of the Local Control and Accountability Plan took those relationships to new heights. The plan and its affiliated funding allowed the district to align resources to areas of outreach, which in turn has worked to close the achievement gap. The school board and district leaders are fully behind the outreach efforts, de la Torre said, and place a premium on gathering feedback and engaging the community. “A district might think it knows what a family needs, but you don’t really know until you listen,” she said. The Mariposa Mentoring and Family Engagement program empowers Latina youth in Napa County by providing a safe haven in which girls can speak out against violence and substance use, advocate for themselves and one another and become connected to their community. The program fosters positive development, builds protective factors and offers valuable leadership opportunities. Mariposa participants engage in small group mentoring, leadership opportunities and family programs at eight middle and high schools. Through weekly group instruction, girls develop strategies that build resiliency for the difficulties they may face in interpersonal and institutional relationships. Mariposa Youth Leaders are program graduates who receive 45 hours of additional training and serve as mentors and community leaders. The final component is the family program, which connects mothers and daughters through collaborative training in healthy relationships, mindfulness and college and career readiness. “When youth feel supported and find the personal strength to make healthy decisions about their own lives, they feel empowered to help others and to make a difference in their community,” said Napa COE Superintendent Barbara Nemko. The response among participants has been positive as well. “I love how Mariposa is a safe place to talk about sensitive topics and how the group all gets along,” said one high school participant. What started as a way to offer the district’s “School Smarts” program in a bilingual format has grown into a burgeoning parent group tackling key education and cultural issues facing Alameda Unified School District’s Latino students and their families. Meeting once a month, about 30 regular ALCANCE members have learned about issues ranging from LCAP funding to the California School Dashboard to immigration concerns, said Claudia Medina, district liaison for ALCANCE and coordinator of Family and Community Engagement Programs. The grassroots effort is also evolving from a resource for individual families to help their own students to a platform for open dialogue and community investment — an example of moving from the “me” to “we,” Medina said. “If they feel like there’s a safety net where they can go and talk about their experiences, they build on that,” Medina said of Latino community members. Medina credits Alameda Unified Superintendent Sean McPhetridge for encouraging staff to lead equity round tables to build relationships and partnerships with vulnerable communities. “We really want to walk the talk of what it means to belong, of what it means to be included at the table,” said Medina, who finished a fellowship with the National Equity Project this year. Santa Rosa City Schools’ Equity Initiative aims to change policies, practices and district climate to better serve Latino students and English learners. Staff and other stakeholders participate in training to learn about their cultures, the cultures of their students and the unconscious bias that may impede how they interact with and teach some students. The district disaggregates data by student group and engages in discussions about root causes of disproportionate data patterns. Staff then implement research-based best practices for meeting the needs of Latino students and English learners that work to close gaps between them and their English fluent peers. Across the district, conversations have changed from how students are underperforming to how adults may be unintentionally underserving students who matter. California has more than 163 Hispanic Serving Institutions — the most of any state — and the number of participant institutions continues to rise. There are also signs the program is proving successful both across the country and in California. Federal figures show that 71 percent of Latinos nationwide who graduated high school in 2016 enrolled in college the following fall, compared to 49 percent in 2000. In California, the percentage of undergraduate Latino students in the California State University system is now about 40 percent, representing a steady increase in the past decade. Southern California is home to a large number of Latino students — many of them the first in their family to be heading to college. To help them reach this goal, many schools are taking part in a college prep program called AVID. Formally known as Advancement Via Individual Determination, the program stresses skills to help students prepare for college, from time management to navigating financial aid. The initiative comes as California’s Latino K-12 students are struggling to close the achievement gap. The latest standardized tests scores for the state’s Latino students showed they had made progress but still fall behind other student cohorts.